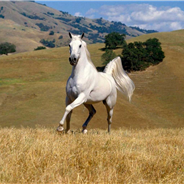 This is why I trained Kyra to come to the pasture instead of me wading through the mud to get her. She has to go through the mud anyway, she might as well do it by herself so I don’t risk losing a boot in the mud or getting stuck there. 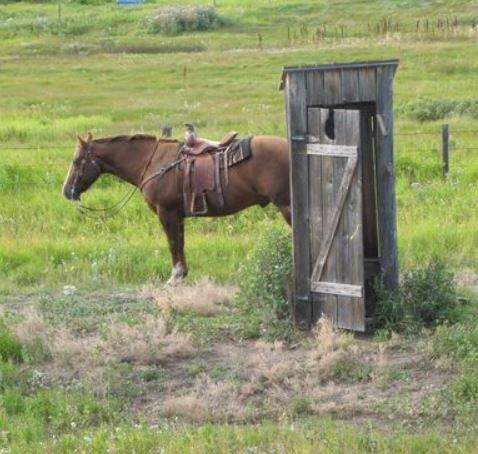 The poop bin is located in the same corner where the shavings are stored. 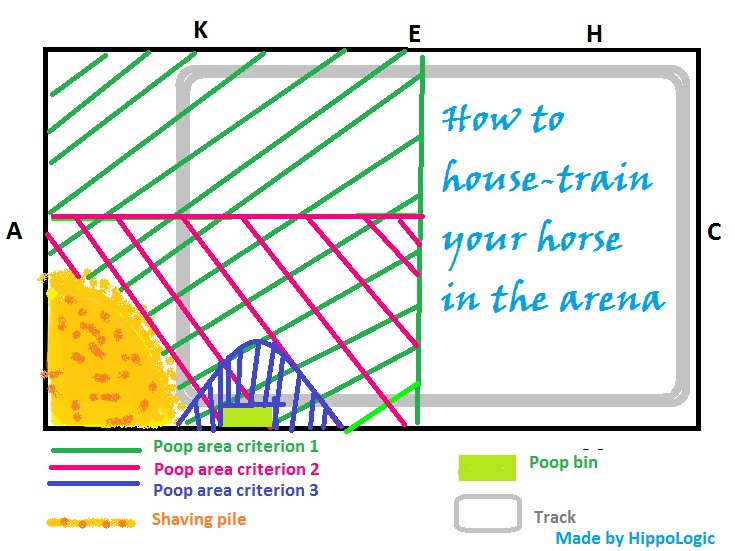 Kyra thought she had to poop in the shavings, which was an obvious mistake (yellow/orange area). 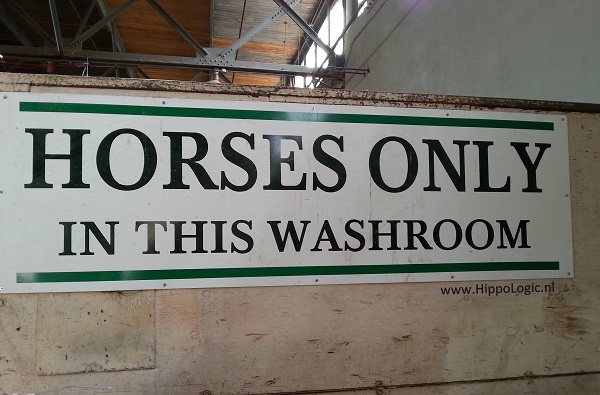 After all, her stall is full of shavings where she poops in. So I began to watch her closely, because she usually pooped in the shavings when she was in the arena all by herself. Under saddle I could catch her going in the shavings one time and gently let her out of it. She only had to take one or two steps (towards the bin). 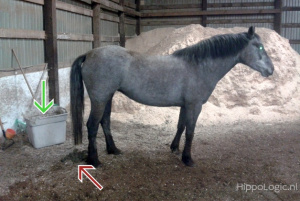 Then she pooped next to the bin and not in the shavings. She had earned herself a jackpot.